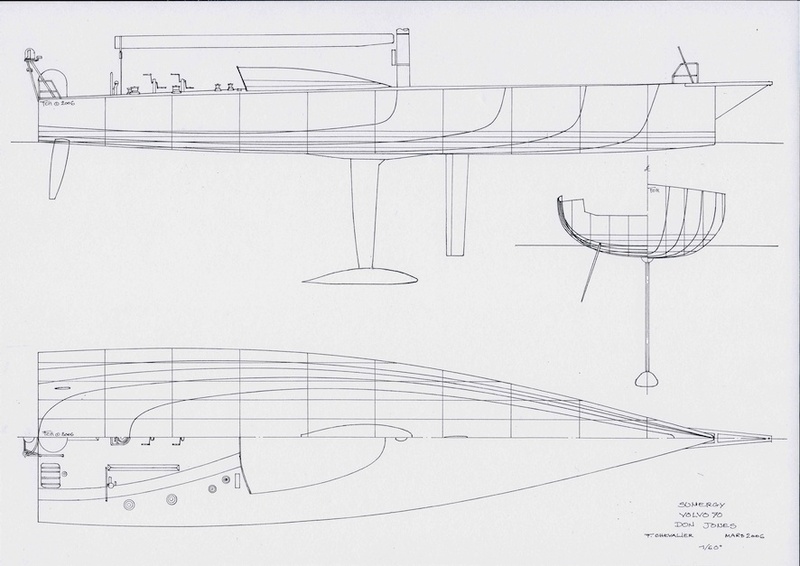 I’m currently working on a large book about the Danish building architect Gehrard Rønne (1879-1955) and the boats he designed in his spare time. I NEED HELP! I'm looking for more information than wikipedia can provide about Rønne's biography! Somebody could help me to find the descendants of Gerhard Rønne? A/ He first married Ines Kirsten Henriette Alexine Hofmann-Olsen, in Svendborg on February 16, 1945. 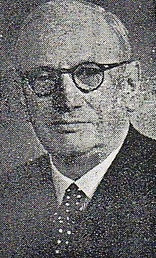 The marriage was dissolved on 1947. Ines Kirsten Henriette Alexine Hofman-Olsen (born on November 25, 1923 in Copenhagen – died ??). 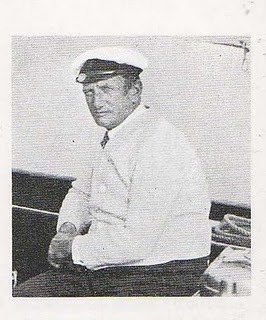 Her father was Thorkil Hofman-Olsen (1884-1966) and her mother was Margrethe Johanne Staalesen (1903-?). B/ He then married Bergliot Marie Consuelo Langgaard, in Oslo on June 23, 1949. DID TORBEN HENNING RØNNE HAVE HAD CHILDREN? - FRIGG ex-VITA II (1936)? ? The saga of the only 10 yachts is amazing. More to come! On Tuesday, April 3rd the CEO of the French Team Aleph announced the withdrawal of the team for the next 2013 America’s Cup… due to a lake of funding! There should be only one French cat in 2013 in San Francisco: Energy Team managed by the Peyron brothers. We will be minded to follow their campaign. - Bertrand Pacé, skipper and tactician. Involved in the Cup for 30 years! … and our friend Marcus Hutchinson, communication manager. 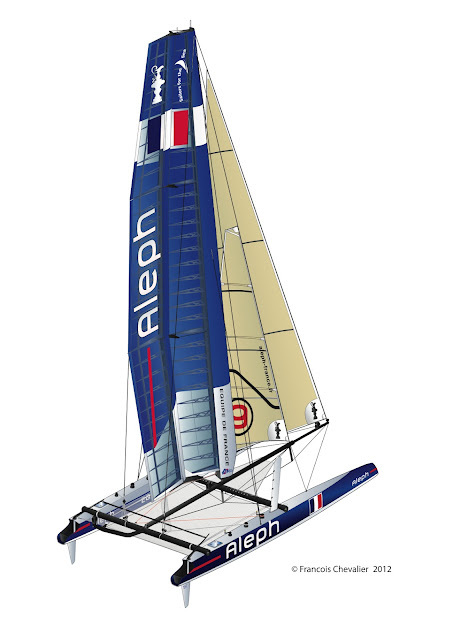 The good and attractive performance of Aleph in the three 2011 ACWS in Cascais, Plymouth and San Diego and the brief and final salute of the team in Napoli in April 2012 will be remembered. In any event Aleph owns to the Legend of the America’s Cup. Le mardi 3 avril dernier, le directeur général de l’équipe française Aleph, annonçait son retrait de l’aventure dans la prochaine America’s Cup 2013... Faute d’avoir pu réunir le budget nécessaire à la poursuite de son projet. Il ne devrait donc y avoir qu’un seul catamaran français en 2013 à San Francisco : Energy Team menée par les frères Peyron. Nous aurons à cœur de les suivre dans cette fascinante aventure ! - Bertrand Pacé, directeur sportif, skipper et tacticien du défi – trente ans de présence dans la Cup ! Les belles prestations d’Aleph lors des trois ACWS en 2011 à Cascais, Plymouth et San Diego et l’ultime et bref salut du team à Naples en ce mois d’avril 2012 resteront dans nos mémoires. Quoiqu’il en soit, Aleph appartient à la légende de l’America’s Cup. 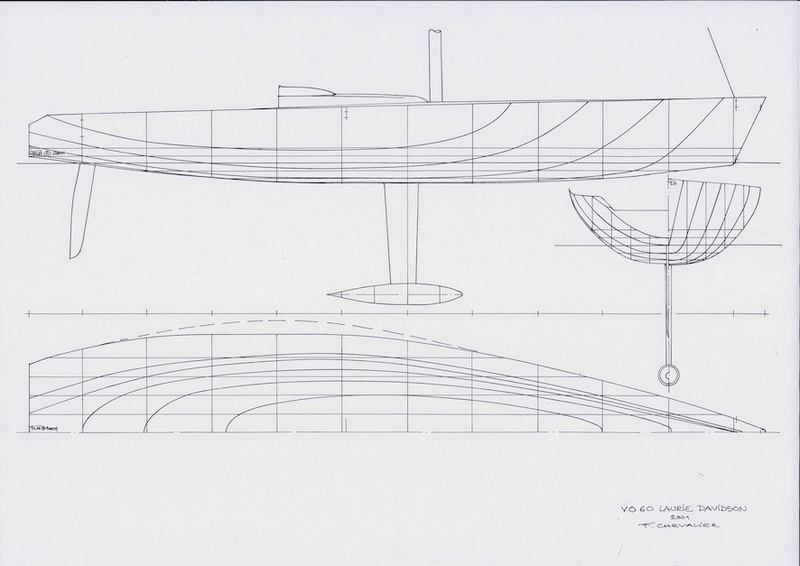 Evolution of the Volvo yacht designs since 10 years ! 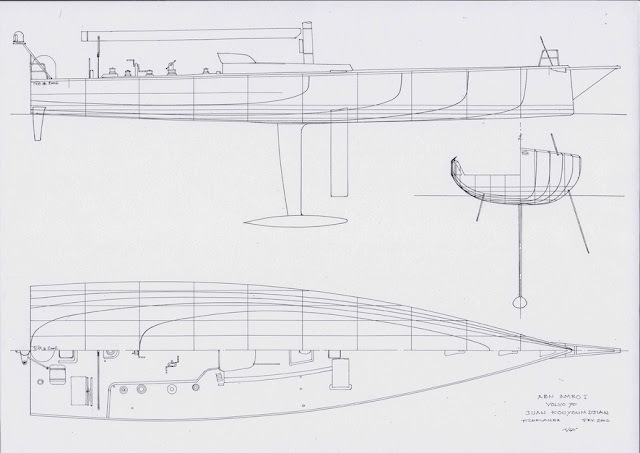 To carry out these lines plans, which I drew on tracing paper, I observed the hulls in build or ex-works, using their cradles as a source at times, and all the while bearing in mind the personalities and intentions of the yacht designers who had created them and especially in strict observation of the relevant rating rules. Thus I was able to draw them fairly accurately. As soon as the sailing boats received their keels, rudders and centerboards, I was able to finalise the plans for the 2001, 2005 and 2011 editions of the Volvo Ocean Race. In 2001, the new rating rule which defined the VO60 authorised carbonfiber rigging, which gave real oompff to the yachts and profoundly changed their behaviour. Out of eight candidates, six came from Farr Design: Assa Abloy, Illbruck, News Corporation, Team SEB and Team Tyco. 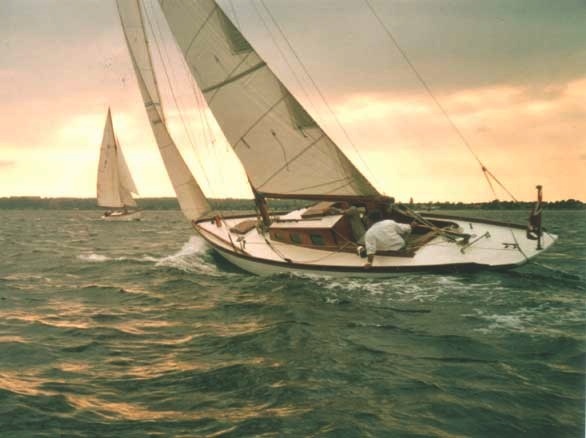 The team at Nautor Challenge ordered two boats, amongst which one, Amer Sport Two, was designed by Bruce Farr himself, and the other, Amer Sport One, was designed by Germán Frers, Jr., AKA “Mani Frers“. Skipper Grant Dalton held back his choise until the very last moment, when he left the Farr yacht to Lisa McDonald's all-female crew. The eighth yacht was Norwegian entry Djuice Dragons designed by Laurie Davidson. What stands out distinctively today is the narrow beam at the waterline on the one hand, and the hollow shape of the hulls on the other. 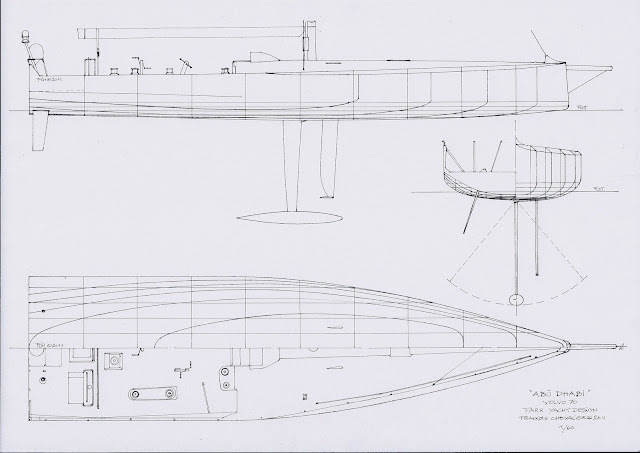 Indeed, the three designers created narrow hulls, with as much external ballast as possible, with a tapered chine-bilge, as required by the rating rule, at broadest section of the yacht. According to Bruce Farr, a yacht must be a skimming dish designed in compliance with the rating rule. 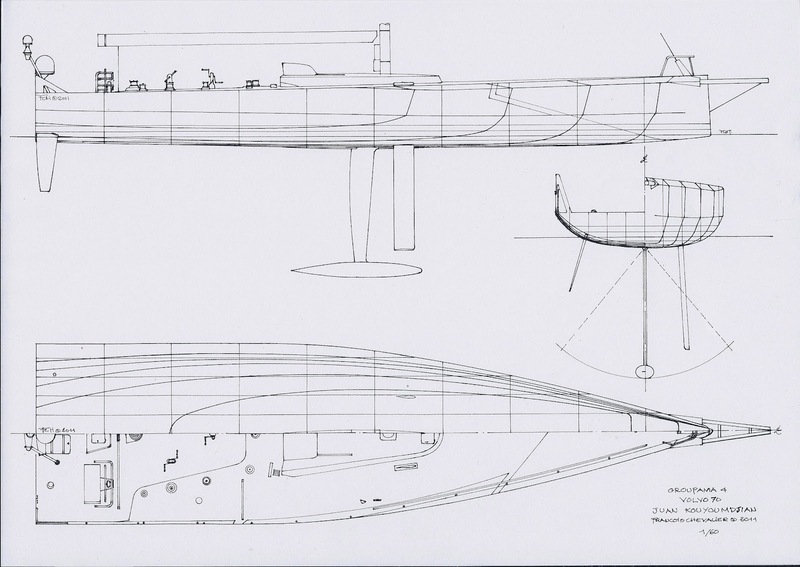 His hulls feature angular lines, rather than flowing from a free hand: the forward sections are cut into an arrowhead along a plane that follows the deck from the bow to the mast. Then comes a 50cm vertical section, which is parallel on either side and extends far aft. 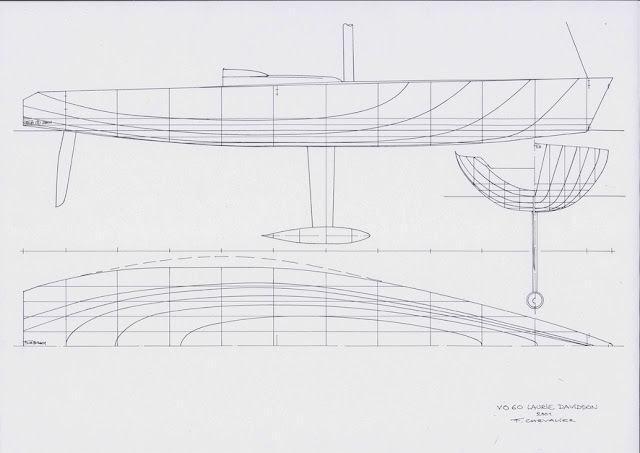 The final angle is featured on the topsides, starting at a 45° angle from the bottom of the keel until the chain girth measurement. The cut extends all the way to the transom. 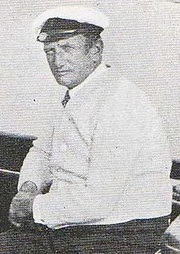 Laurie Davidson favoured safety instead and created comprehensively buoyant forward sections, though this penalised performance because it increased developable surface. The fin of Djuice's keel seems to develop greater area than other contenders. 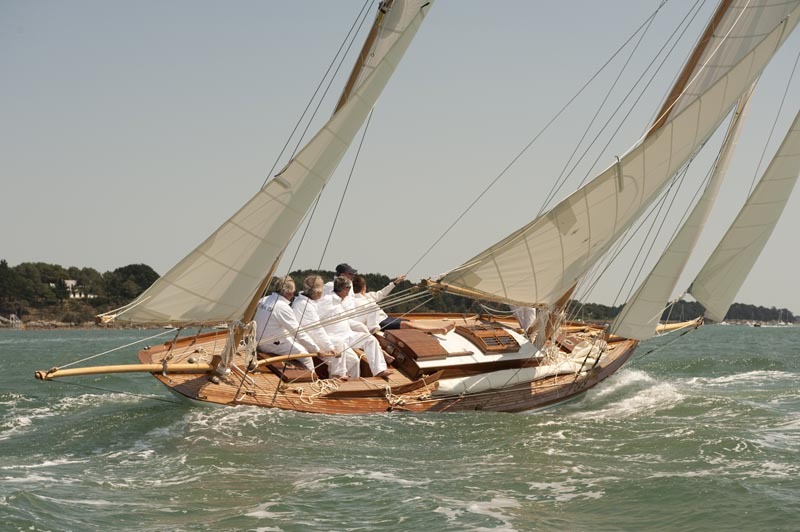 Mani Frers' design displays greater stiffness, with wider topsides, as well as a sharper bow. The fin of the keel, which is positioned slightly forward of the mast, favours upwind performance, although this makes the yacht chase a lot more downwind. 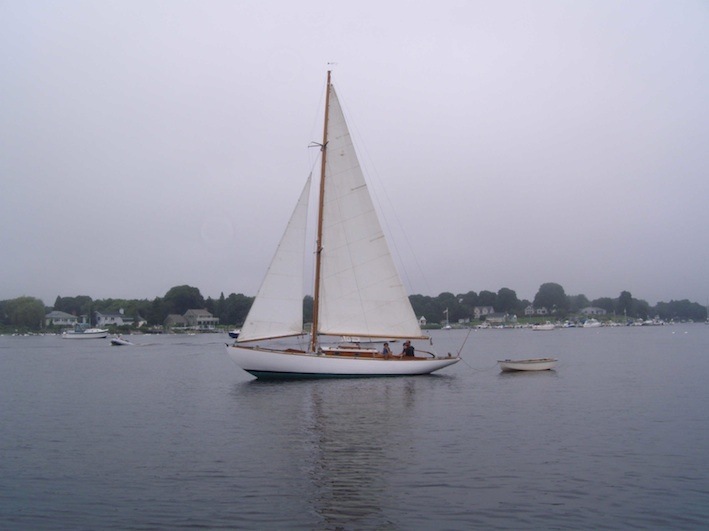 Her sail plan is far back, and the mast is close to amidships. 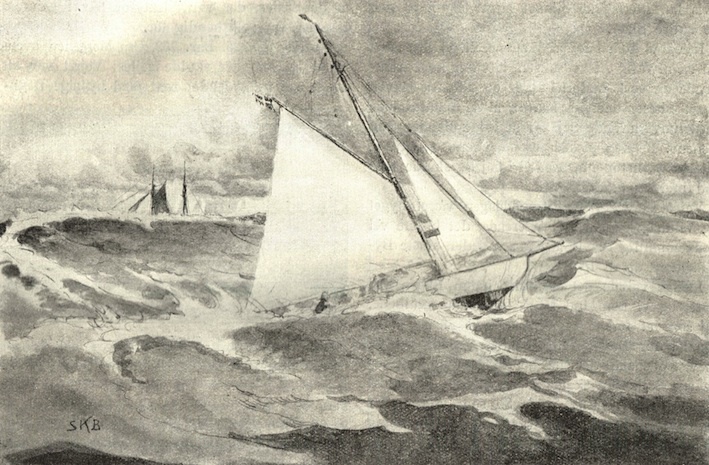 Incidentally, the Farr yachts took both first and second place, and Laurie Davidson had to make do with sixth place, though taking victory in the final leg. For the next edition, the Volvo Ocean Race introduced the new VO70 rule. Longer, lighter, with greater sail spread, a canting keel and the choice of twin rudders; these yachts inherited from improvements developed in the America's Cup, the TP52 as well as the IMOCA circuits. Juan Kouyoumdjian was the champion in this competition, his ABN Amro One taking 16 out 22 races and his ABN Amro Two establishing a new 24-hour distance record. Bruce Farr's four VO70s Pirates of the Caribbean, Brasil 1, Ericsson and Movistar took up the rankings in the middle of the fleet and the Australian entry Brunel, designed by Don Jones, finished in the last place. Juan K's designs exploited every loophole in the rating rule, creating a larger, stiffer yacht, with a very sharp wave-piercing bow, a canting keel swinging on a hinge inside the hull, increasing stiffness further in upwind conditions, a skimming hull shape in after sections, deep daggerboards, lengthier keel with a narrower section. With more power and capable of planing extensively, these hulls established themselves as the fastest and announced a new trend. 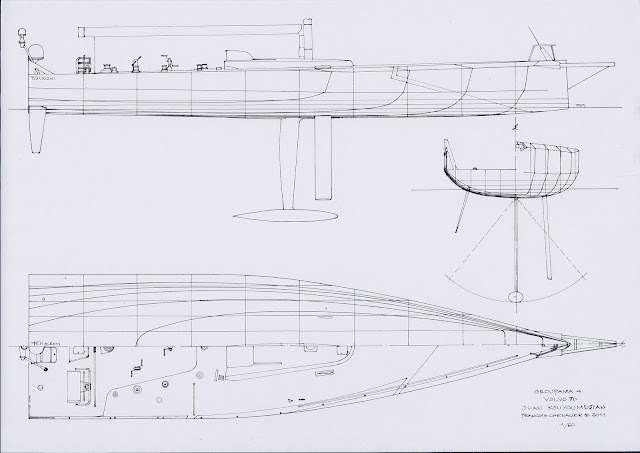 Bruce Farr sought a fine and balanced design, with a rudder in the centreline of the yacht. 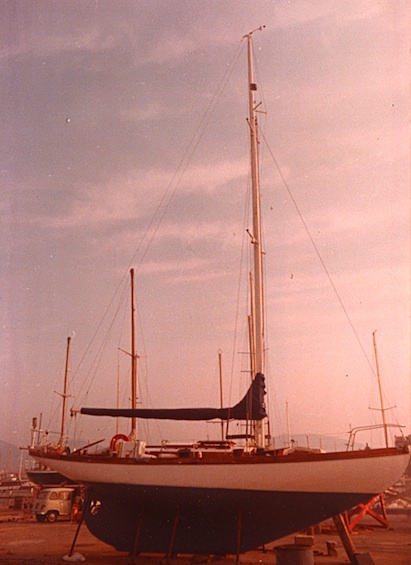 As for Don Jones, serving a project with limited funds, he created a more conventional yacht, with a round and wide hull, rounded forward sections, and with a very forward mast and a centerboard more forward still, and featuring a cockpit as way aft as possible. 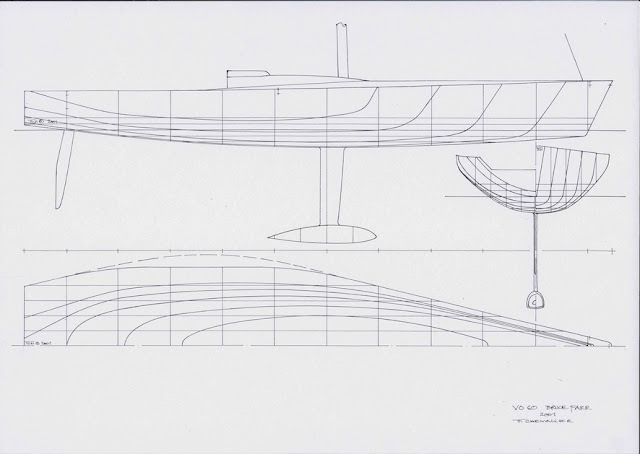 I did not have the opportunity to finalise the plans that I had prepared for the 2008-2009 edition, because no magazine expressed an interest to publish the lines of all five naval architects. For the 2011-12 edition, with three contending designers, Juan K designed half of the fleet: the American entry Puma skippered by Ken Read, the French entry Groupama skippered by Franck Cammas and the Spanish entry Telefónica skippered by Iker Martinez. 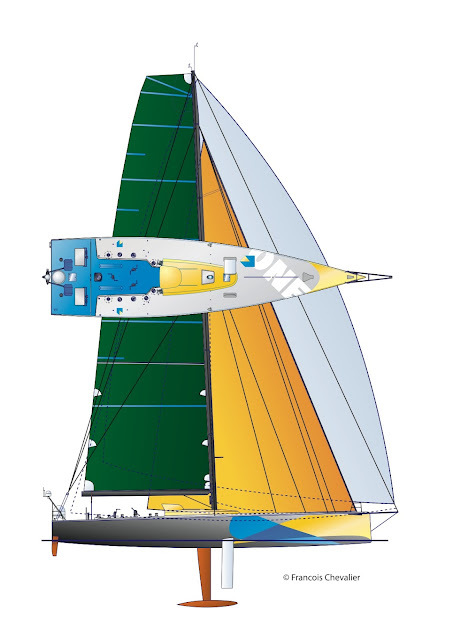 Farr Yacht Design carried out the plans for Abu Dhabi and was also represented by the Chinese entry Sanya (formerly Telefónica Blue) skippered by Mike Sanderson, who won the 2006 edition of the Volvo Ocean Race. Finally, Marcelino Botin, renowned for his TP52s, drew the lines of Camper for Emirates Team New Zealand. 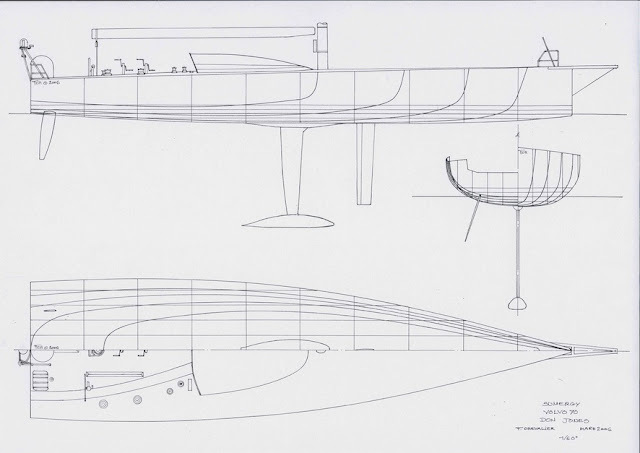 Surprisingly for this "box rule", the three designers have produced very different yachts. Marcelino Botin created a superb development of a TP52: narrow, extremely sleek lines with a very forward centre of gravity, beam kept back to three quarter of the boat's length and lowrise transom, huge centerboards aft of the mast, which is itself centred in the middle of yacht. Farr's design breaks away from all trends. Assuming that these yachts should plane at the slightest of breezes, but would stop brutally in short waves, their hulls should be developed to plane as early as possible, and heel when beating without too much chasing forward, in order to raise stiffness, resulting in Abu Dhabi's huge round and full bow, with a sharp cutwater and vertical topsides. Here maximum beam is reached amidships and carries all the way aft, waterline is wide and centered, lines are sleek yet smooth, wth fine and elaborate centerboards, almost vertical and nearly inline with the axis. The forward deck is very cambered and the coachroof extends into it in a completely flush fashion. Juan K has developed his previous lines and optimised on numerous advantages established in the previous edition which was won by the Swedish entry Ericsson 4. 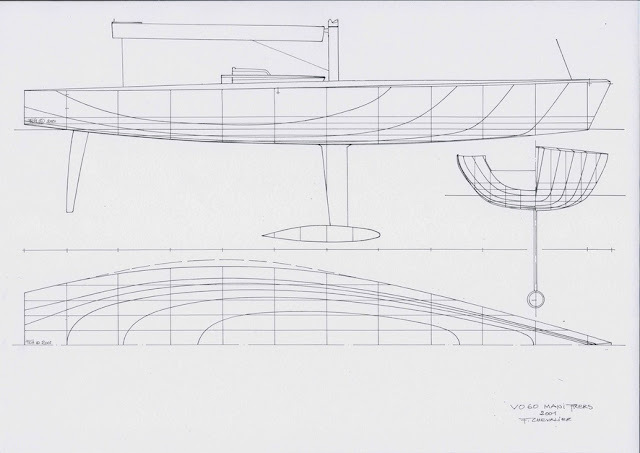 The elaborate lines are obvious in the forward sections where the chine bilge extends all the way to the bow, with flat bottoms immediately after the cutwater in order to guarantee planing and to separate from the axis of the yacht when heeling to increase stiffness. 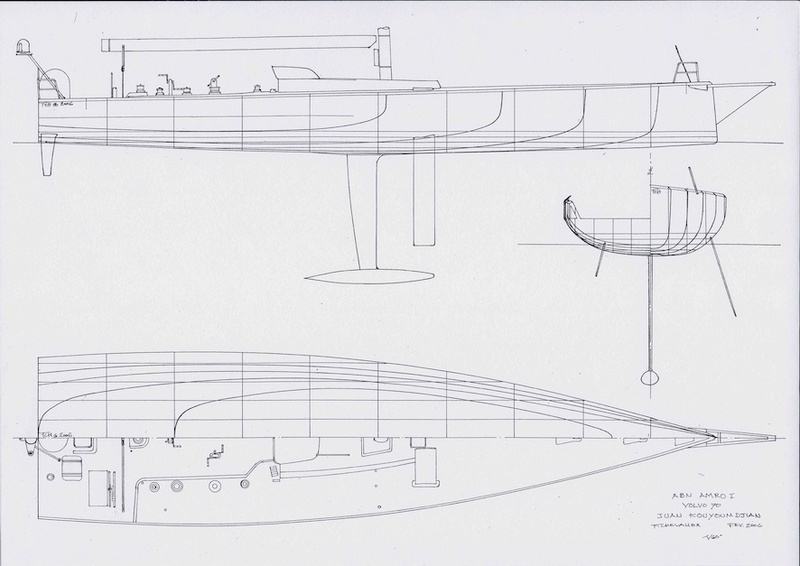 The bottom aft is shaped to espouse and lengthen the stern wave and the wake that defines critical speed. All these characteristics demonstrate stronger ability for speed than other competitors, and the three yachts designed by Juan K currently head the fleet in rankings. 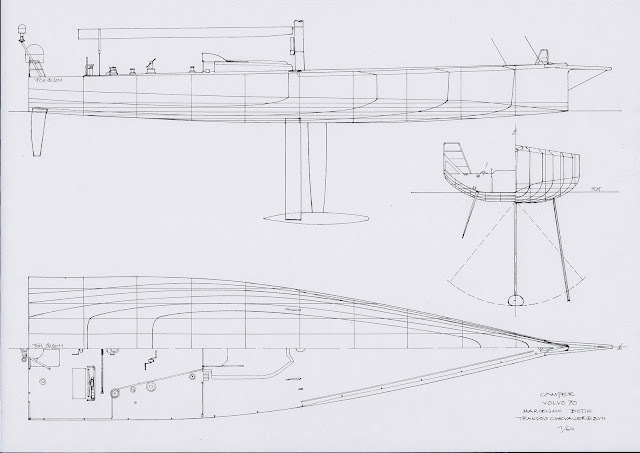 However, it is to be noted that the three designers have shared the following: using the maximum beam afforded by the rating rule and fashioning keels, rudders and centerboards of similar shape. 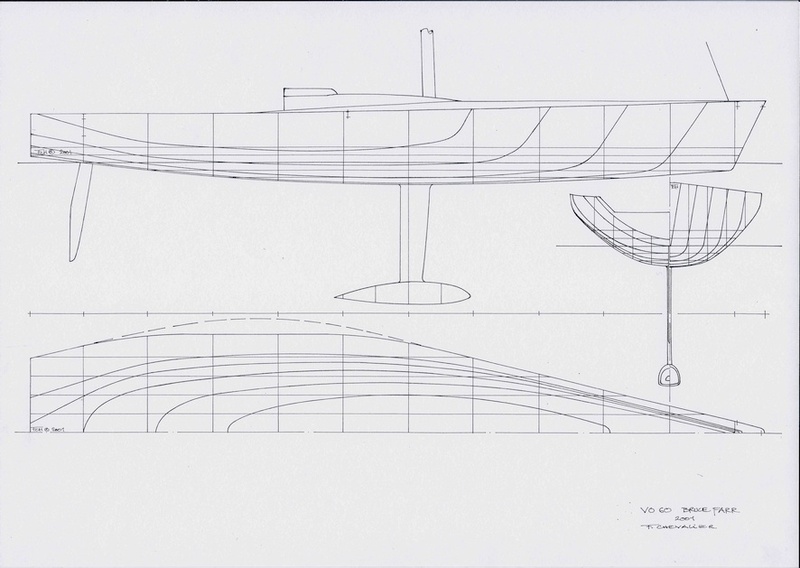 The above lines plans have drawn for French magazine Voiles & Voiliers, but not all have been published. The last three appeared in the latest issue for the month of May, alongside commentary from a few sailors. With regards to the damages experienced in recent legs, it must be observed in humble truth that the latest generations of yachts and shapes of yachts are developed for formidable performance such that has never been witnessed before, so the sustained impacts into head seas has only increased the stress and strain on mechanical parts and the hull itself. It is to the credit of the teams ongoing yachts if they have sustained no breakage. Congratulations must also be handed to the sailors who have resisted so much wash on deck and so much discomfort above as well as below decks! With our 3 boats safely in Brazil and under the risk of sounding arrogant, I’ll break away from my golden rule of not speaking until the end of the race to put the record straight since I believe we are presented with an intentional manipulation of the truth. There is a common, spread notion that ALL the participants of this VOR have structural problems, that the situation is unacceptable and that something needs to be done for the future. A fundamental distinction needs to be done between the mast breakages and the rest, and whilst I think it is very important to understand what caused so many mast failures, it is a travesty of the truth to put ALL designs in the same basket when it comes down to the “other” structural issues. This generalization might suit a specific Team, or person to push any agenda he might have for the future, but out of respect of the hard and serious work done with my Team I need to speak up. In the first edition of the VO70s, we had 2 triumphs to celebrate that as designers we are very proud of. One is obviously that our design was driven to victory by a very good crew and the other one is that our 2 boats were the only ones that completed the full circumnavigation without major structural problems. This celebration was faded by the public generalization that because one boat sunk and others had structural failures, then ALL of the boats had problems and the rules had to be changed. Which in fact they did, for the worse! I didn’t say anything publicly then and moved on. However, seeing the same generalization occurring now, I’d like to stick to the facts and so allow for conclusions to be made without generalizations. - A VO70 cannot be designed not to break. In fact, any boat in a round the world race cannot be designed not to break. So ultimately, breakages are in the hands of the crew. - Puma won leg 5 without a major structural problem and this due to the excellence and experience of its crew. - Telefonica finished 2nd in leg 5 with a hull delamination in port mid bow which did not prevent her from racing. - Telefonica’s pit stop in Cape Horn was not a necessity but rather a very clever strategical decision based on having 3rd place assured and a weather window to exploit. - Groupama, notwithstanding of an excellent management of the boat during leg 5 to see misfortune hit them with a broken mast, has sailed on her own means to Brazil without structural problems. So, while we focus in understanding why there have been so many problems with the rigs, I’d beg not to generalize and avoid putting in the same basket the good work and brilliance of some engineers with that of others which are clearly not the same. Evolution des formes de carènes des voiliers de la Volvo depuis 10 ans ! Pour réaliser ces plans, dessinés sur calque, j’ai observé les coques en construction ou à leur sortie de chantier, m’aidant des berceaux qui supportent les coques à terre, en tenant compte des personnalités des architectes et surtout en restant dans les jauges correspondantes. Ainsi j’ai pu dessiner ces plans avec une assez bonne précision. Dès que les voiliers ont reçu leurs appendices, j’ai pu finaliser ces plans, réalisés en 2001, 2005 et 2011. En 2001, la nouvelle jauge qui définit les VO 60 autorise le gréement carbone, ce qui va booster ces voiliers et modifier profondément leur comportement. Sur les huit candidats à la victoire, six plans conçus par Farr Design prennent le départ : Assa Abloy, Illbruck, News Corporation, Team SEB et Team Tyco. 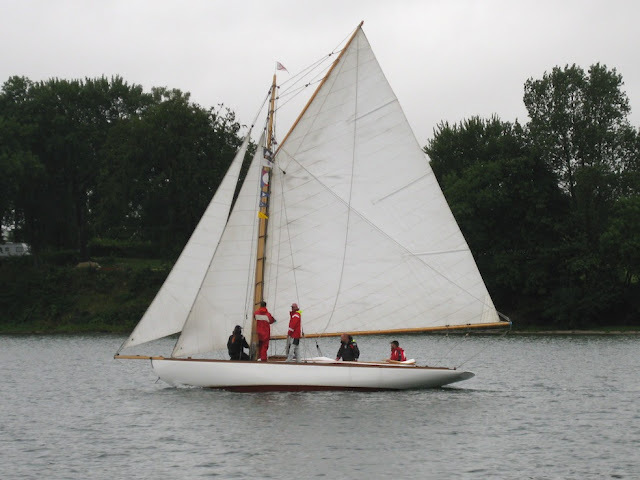 L’équipe du Nautor Challenge a fait construire deux bateaux dont un signé Bruce Farr, Amer Sport Two, l’autre, Amer Sport One, étant de la main de German Frers, Jr., “Mani Frers“. Le skipper Grant Dalton a réservé son choix jusqu’au dernier moment, laissant le voilier de Farr à l’équipage féminin de Lisa McDonald. Enfin, le huitième est le Norvégien Djuice Dragons, conçu par Laurie Davidson. 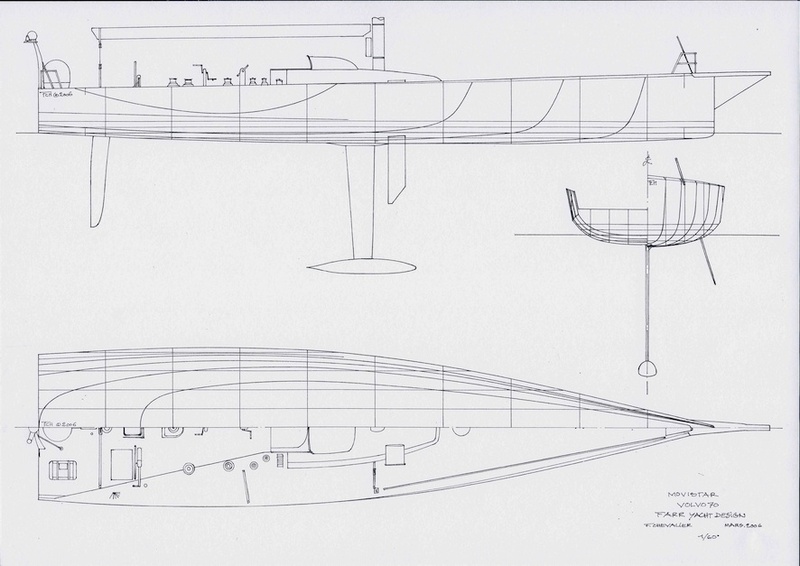 Ce qui frappe aujourd’hui en regardant les trois dessins, c’est d’une part l’étroitesse de la flottaison des voiliers, et d’autre part, le creux assez prononcé des coques. Les trois concepteurs ont en effet créé des coques étroites, munies de ballasts le plus à l’extérieur possible, avec un petit bouchain arrondi, jauge oblige, au niveau du maître-bau. Pour Farr, un bateau doit être une « luge » coupée conformément aux exigences de la jauge. La coque semble taillée à la serpe : l’avant est coupé en pointe selon un plan incliné suivant un tracé de pont rectiligne de l’étrave jusqu’au mât. Suit une seconde coupe verticale sur 50 cm et parallèle sur chaque bord. Celle-ci se prolonge loin sur l’arrière. Enfin l’ultime taille intervient sur les flancs, à 45° vers le bas de la quille jusqu’à la mesure de chaîne. Elle se prolonge sans artifice jusqu’au tableau arrière. Laurie Davidson a privilégié la sécurité et créé une forte réserve de flottaison sur l’avant, pénalisée par une grande surface développée. Le voile de quille de Djuice semble important par rapport aux autres. Le plan de Nani Frers montre une plus grande raideur, avec des flancs moins évasés que ceux de ses concurrents, et une étrave plus rasante. Son voile de quille, légèrement en avant du mât, favorise les allures de près, mais rend le voilier volage aux allures portantes. Son plan de voilure et très reculé, avec un mât proche du milieu. Il est intéressant de constater que sur les trois plans, les lests sont tous centrés sur le milieu de la flottaison, ce qui implique que les centres de carènes sont tous placés au même endroit. Pour la petite histoire, les voiliers de Farr remportent les deux premières places, celui de Laurie Davidson se contente de la sixième place, avec une victoire dans la dernière étape. Pour l’édition suivante, la Volvo se démarque avec une nouvelle race de bateaux, les Volvo 70. Plus longs, relativement plus légers, plus toilés, avec des quilles basculantes et deux safrans possibles, ils héritent des progrès de l’America’s Cup comme ceux des TP52 ou des Open 60. Juan Kouyoumdjian est le grand gagnant de l’épreuve, son ABN Amro One remporte 16 des 22 manches de cette course et son ABN Amro Two se classe quatrième, établissant un nouveau record de vitesse sur les 24 heures. Les quatre VO 70 de Bruce Farr, Pirates of Caribbean, Brasil, Ericsson et Movistar s’intercalent, et le voilier Australien conçu par Don Jones, Brunel, termine dernier. Les plans de Juan exploitent au maximum la jauge, plus large, donc plus raide, étrave inversée et rasante, quille basculante pivotant à l’intérieur de la coque, ce qui augmente encore la raideur au près, carène fuyante sur la moitié arrière, dérive profonde, quille allongée avec une section réduite. Plus puissantes et plus planantes, ces coques s’imposent et vont marquer les carènes à venir. Bruce Farr a cherché la finesse et l’équilibre, avec un safran dans l’axe du voilier. 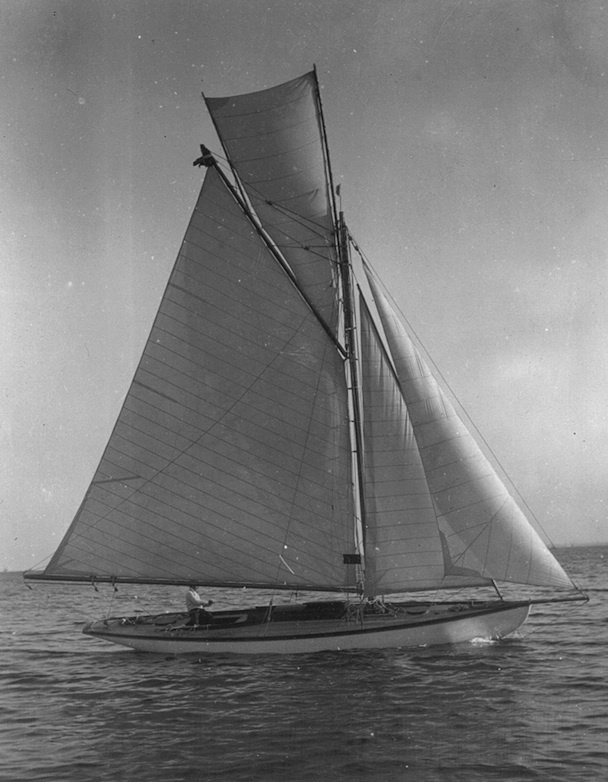 Quant à Don Jones, mal servi par un budget réduit, il avait créé un voilier plus conventionnel, plus rond et large, des formes avant pleines, avec une dérive unique en avant d’un mât très avancé et un cockpit très reculé. Je n’ai pas eu l’occasion de finaliser les plans que j’avais préparés pour l’édition de 2008-2009, aucun magazine n’ayant donné suite à ma proposition de publier les plans des cinq cabinets d’architecte. Pour 2011-2012, sur les trois architectes en lice, Juan K en dessine la moitié, l’Americain Puma skippé par Ken Read, le Français Groupama 4 mené par Franck Cammas et l’Espagnol Telefonica, mené par Iker Martinez. 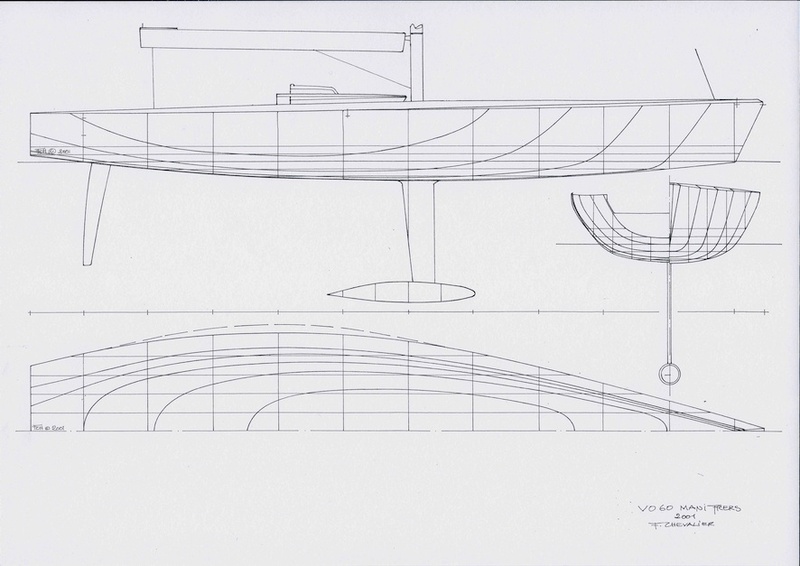 Farr Yacht Design en a dessiné un, Abu Dhabi ; le Chinois Sanya est l’ex-Telefonica Blue, un plan Farr, skippé par le vainqueur de 2006, Mike Sanderson. Enfin, Marcelino Botin, remarquable pour ses TP52, est l’auteur des plans de Camper pour ETNZ. De façon la plus surprenante pour cette “Box Rule“, les plans des trois architectes s’avèrent totalement différents. Marcelino Botin a créé un véritable super TP52, fin, tendu à l’extrême, avec un centre de gravité très avancé, un bau reculé au trois-quarts de sa longueur et un tableau arrière rasant, des dérives immenses en arrière du mât, lui-même centré sur le milieu du voilier. Le plan de Farr rompt avec toutes les tendances. Considérant que ces voiliers planent dès la moindre brise, et stoppent brutalement dans les vagues trop abruptes, la coque doit se mettre au planning le plus vite possible, et basculer au près sans trop pivoter sur l’avant, afin d’augmenter la raideur. 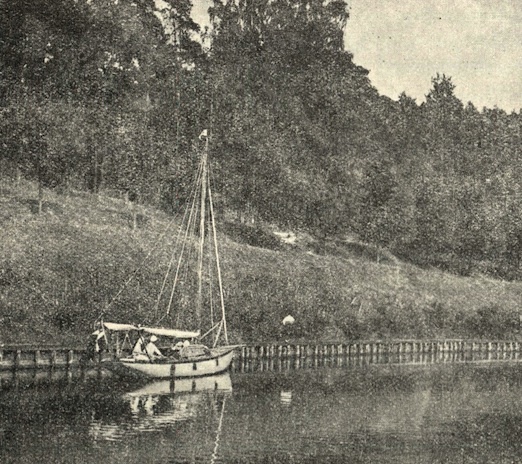 Résultat, une étrave monumentale, ronde et pleine, rasante, des flancs verticaux, un bau maximum autorisé dès la moitié du voilier, une ligne de flottaison large et centrée, des formes tendues mais douces, des dérives fines et élaborées, pratiquement verticales et proches de l’axe. Le pont est bombé sur l’avant, sans marquage de roof. Juan K a développé ses plans précédents en optimisant tous les avantages déjà acquis lors de la dernière édition remportée par le Suédois Ericsson. Des formes avant très élaborées, bien visibles sur les sections avant, sous un bouchain qui se prolonge jusqu’à l’étrave ; des fonds plats dès l’étrave, garantissant un départ au planning et écartant l’axe du voilier à la gîte pour une plus grande raideur ; des fonds arrière épousant la forme de la vague, afin de favoriser le prolongement du sillage et d’allonger la vague définissant la vitesse limite. Toutes ces caractéristiques ont démontré leurs avantages sur les autres concurrents, les trois voiliers conçus par Juan sont actuellement en tête de la course. Cependant il convient de remarquer les points communs aux trois concepteurs : L’exploitation de la largeur maximun de la jauge et des appendices assez semblables. En ce qui concerne les avaries survenues lors des étapes précédentes, sans prétendre détenir une vérité, les voiliers de la nouvelle génération sont soumis à des efforts jamais encore atteints, et leurs formes ne favorisent pas particulièrement l’impact des tonnes d’eau qu’ils reçoivent à un rythme aussi soutenu. Bravo aux voiliers qui ont tenu bon ! Avec nos trois bateaux arrivés sains et saufs au Brésil et au risque de paraître quelque peu arrogant, je transgresse ma règle d’or qui consiste à ne jamais parler avant la fin de la course. Je tiens en effet à remettre les choses en place car j’estime que l’on présente les choses avec l’intention de manipuler la vérité. Il se peut que cette généralisation puisse convenir à un Team spécifique, ou à une personne souhaitant mettre en avant un quelconque programme qu’elle peut envisager dans l’avenir, mais par respect pour le travail acharné et sérieux que mon équipe et moi-même avons mené, je ne peux m’empêcher de m’exprimer. Lors de la première édition de la Volvo en 70 pieds, nous avons eu le bonheur, en tant que concepteurs, de pouvoir célébrer deux triomphes dont nous sommes très fiers. L’un s’explique à l’évidence par notre dessin qui a été mené à la victoire par un très bon équipage, l’autre vient du fait que nos deux bateaux furent les deux seuls à effectuer le tour de monde dans sa totalité sans problème structurel majeur ! Ce succès a été quelque peu occulté par la mise en avant auprès du public du naufrage d’un bateau et des ennuis de structure que d’autres avaient connu. 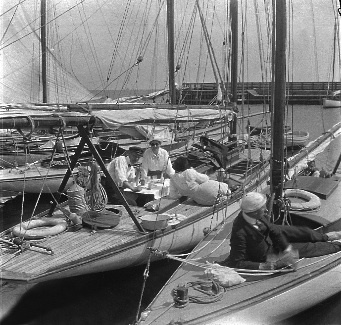 En conséquence de quoi, TOUS les bateaux ayant eu des problèmes, il était obligatoire de changer les règles. C’est ce qui a été fait, mais en pire ! Je n’ai alors rien dit publiquement et ne m’en suis plus occupé. Cependant, constatant que cette même généralisation se reproduit aujourd’hui, je souhaite m’en tenir aux faits afin de pouvoir en tirer des conclusions, sans toutefois généraliser. - Un VO70 ne peut être conçu pour ne pas casser. En fait, n’importe quel bateau engagé dans une course autour du monde ne peut être dessiné pour ne pas casser. Ce qui, en fin de compte, laisse entre les mains de l’équipage ces questions de rupture ! - Puma a gagné la 5e manche sans problème structurel majeur et cela s’explique par l’excellence et l’expérience de son équipage. - Telefonica a fini deuxième de cette 5e manche avec une délamination de la coque sur bâbord au milieu de l’étrave ce qui ne l’a pas empêché de courir. - Le bref arrêt de Telefonica au Cap Horn n’était pas nécessaire mais cela a plutôt été une décision stratégique, très intelligente, basée sur le fait que la 3e place était alors assurée et qu’il y avait une fenêtre météo à exploiter. - Nonobstant une excellente gestion du bateau pendant cette 5e manche et la malchance de casser son mât, Groupama a rallié par ses propres moyens le Brésil, sans problème de structure ! Ainsi et alors que nous nous concentrons pour comprendre pourquoi il y a eu autant de problèmes de gréement, je vous prie de ne pas généraliser et d’éviter de mettre dans le même panier l’excellent et brillant travail de quelques ingénieurs avec celui de ceux qui ne sont pas, à l’évidence, de la même engeance.